You’ve probably noticed: Design has become central for many businesses that might have once considered it an afterthought. Indeed, with sales and marketing so thoroughly optimized at this point — and companies wondering how else to trounce the competition — there’s now a race afoot for numerous startups looking to become the Salesforce of design. InVision is one of them. Just three months ago, the design collaboration startup raised $115 million in Series F funding at a $1.9 billion valuation. More recently, Figma, another design player, sealed up $40 million in Series C funding in a round that brings its total funding to $82.9 million and its valuation to $440 million. 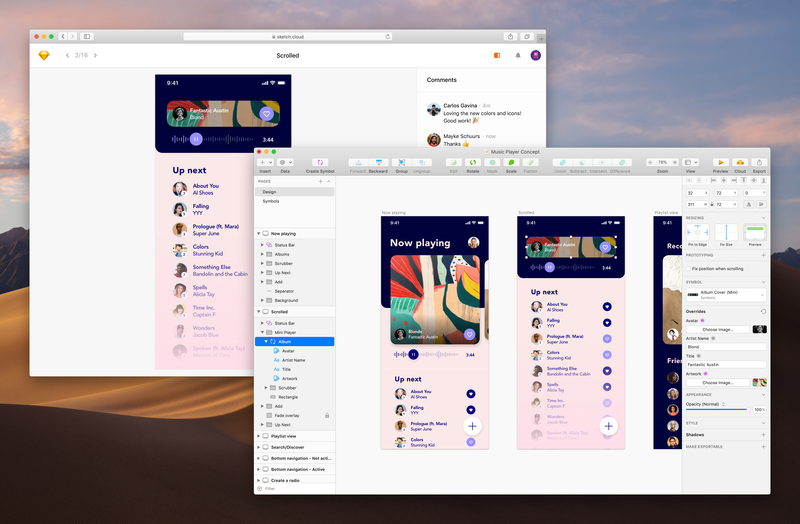 It helps that Sketch — which has a completely distributed workforce, with designers and other employees based around Europe and the U.S. — has been profitable from the outset, and that one million people have already paid $99 for a perpetual license (with one year of free updates). Also impressive: those sales are entirely organic, and they are directly from Sketch’s site. Though its design tools were formerly available in the Mac App Store — Apple once gave it a design award and it routinely topped the Mac App Store charts — Sketch parted ways with the company back in 2015, including owing to Apple’s guidelines about what a Mac app can and can’t do, and the time Apple takes to approve app updates. Benchmark — which isn’t sharing Sketch’s post-money valuation or how much of the company that $20 million is buying the venture firm — also sees a future wherein Sketch moves beyond its roots as a prototyping tool for both highly experienced and novice designers to build out their experience without the help of coders. The idea is for it to become a tool that teams big and small can gather around. In other words, like InVision and Figma (and Adobe and Autodesk), Sketch is going after the enterprise now, too. In fact, Sketch is already planning some big upgrades that will be available this summer, as Sá and Omvlee told us yesterday from their respective offices in Portugal and The Netherlands. One major offering around the corner that builds on its existing cloud offering is team collaboration, via a tool called Sketch for Teams. As the two tell us, Sketch wants to be where all documents live and it will allow teams to make annotations and comments in the app. Sketch is also bringing its tools to the browser starting later this year so users can render an entire document, add developer hand-off and allow editing along with collaboration, all without the need to leave the browser. 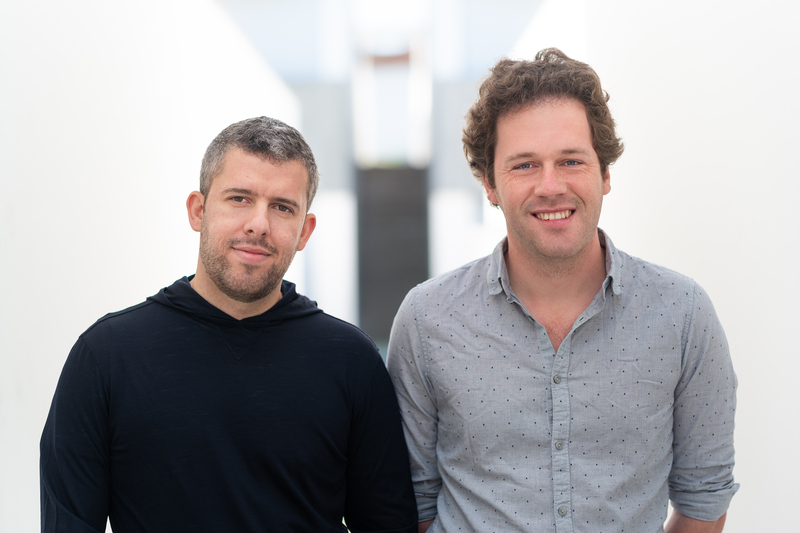 Pictured above, left to right: Sketch founders Emanuel Sá and Pieter Omvlee.